The Draw to Perform residency program for Drawing Performance practice. D2P residency, 27 April - 11 May 2019, Brighton UK. Come join our artists from Wales, Australia, and China. We have only a few more spaces available in this upcoming residency. This rigorous 15 days structured program is a unique opportunity for new and developing professional artists and art students to engage in the dynamic artistic discipline of drawing performance art. This time the residency takes place in May to make the most of what this town has to offer. May is the busiest time in Brighton, with the Brighton Festival, Fringe Festival, and Artists Open Houses taking place. The D2P Residency program is a unique opportunity for new and developing professional artists and art students to engage in the dynamic artistic discipline of drawing performance art. The program provides the foundation to develop drawing and performance skills and to translate creative practice into live action. This rigorous 15 days structured program of mentored residency includes one-on-one tutorials, workshops, intensive studio time, studio visits and artist talks by UKdrawing performance artists. The program is headed by artist and curator Ram Samocha, who is internationally acclaimed and the founder of Draw to Perform. The residency will be located in the heart of Brighton, one of the most vibrant and colourful cities in Europe and a centre of creativity, vibrancy and progressive art. The program will also include guided tours to key exhibitions and art events in Brighton and London and will end with an evening of live drawing performances to celebrate and showcase the output of this creative time. For past residencies please visits the D2P residency Facebook page. July 18th-22nd this summer 2018! The workshop is organized and facilitated by Energia Akatemia in collaboration with Art Center Antares. Location is Sippola, Finland (200 km east from Helsinki). Duration is 5 days. About the program: During the workshop, we will have lectures and hands on explorations. We will work in the facilities of Antares and in the selected locations outdoors. Some special places to be explored in the area are; Pitkäkoski (river) Hamina, Repovesi National Park, Sippola landscape. 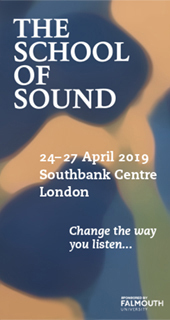 We will work with methods such as active listening, sound walks, field recordings, embodiment, vocal and physical storytelling and drifting in spaces. Public event, open session will be organized 22.7.2018 in the Art Center Antares yard 2pm. The workshop price is 200 euros, including shared accommodation 4 nights, food (breakfast, lunch, dinner), lectures, evening programs (such as sauna) and transportation for group excursions. Application period is 1.5.2018-30.6.2018. To apply, please write motivation letter, include your CV, and website/photos of your previous artwork. 1 application form = 4 unique festivals in 3 countries! Stockholm Fringe Festival is accepting artistic proposals for STOFF 2018 via the Nordic Fringe Network (NFN). One application opens up the doors to four unique festivals in Bergen, Gothenburg, Lahti and Stockholm. NFN aims to elevate the local through the global. The NFN member festivals focus is on emerging artists but our stages also welcome established artists who choose to work on the fringe of the establishment. (Previously STOFF has hosted global performance icons such as The Wooster Group, Forced Entertainment and John Malkovich). We encourage innovative and interdisciplinary work. Grace (GraceGraceGrace.eu) is investigating modes of being/doing/inhabiting middle age! If you identify as older and as a woman, join us (7 Feb to 2 March) at Guest Projects (1 Andrews Road E8 4QL, London) as we explore the experience of middle age. We will act as art sleuths, getting to the bottom of how we are perceived and perceive ourselves. Three days a week (noon-6pm) there will be workshops, talks, screenings and performance... each week has a theme from make-up to drag to how we dress. We will devise and perform pieces for a final cabaret open to the public. Our work will be documented for a follow-on publication—all participants will be acknowledged/included and receive copies. We are striving for a diverse group: we encourage people from deaf and disability communities (the space is wheel chair accessible); LGBTQI women; BAME women; regardless of immigration status. Applications up to 01 Jan 2018; selected participants notified early in 2018. 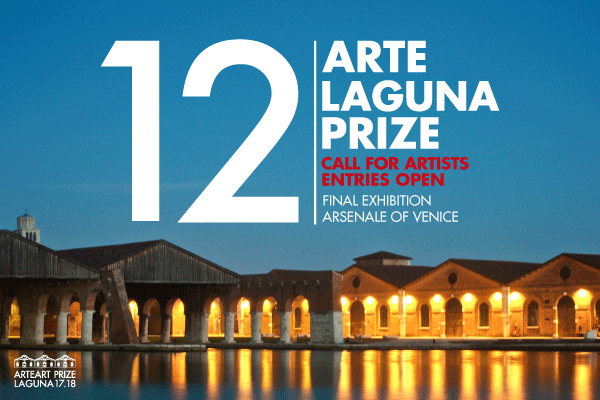 The Arte Laguna Prize is an international art competition aimed at promoting and enhancing contemporary art. 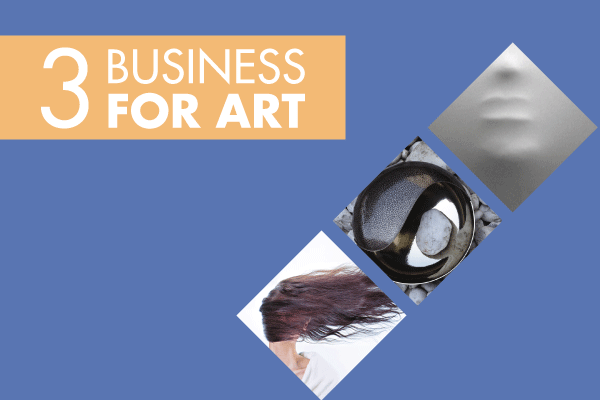 The contest stands out in the global art scene for the variety of its partnerships and opportunities offered to artists, and is recognized worldwide as a real springboard for the artists’ career. 9 Contest categories: painting, sculpture and installation, photographic art, video art and short films, performance, virtual art, digital graphics, land art and this year's new entry, urban art. The theme is free and there are no age or nationality restrictions. Realization of 3 personal exhibitions in international Art Galleries including: set-up, grant of € 500 and a dedicated digital catalogue. Development of creative projects to support sustainability. Prize of 3,000 Euro for the winning project that enhances glass as part of the RRR strategies (Reuse, Recycle, Reduce). Art Residency programs in Italy and abroad in order to provide a space and time to experience a new culture, create new works and participate in new activities in a multicultural environment. Collaborations with companies meant to connect creativity with craftsmanship. Zanetto Craftsmanship, Padua Italy: Prize of 2,000 Euro for the winning product design for a vase which will contain at least one noble metal sheet, and realization of the project. International collaborations with Festivals and Organizations to create a network where artists, visibility, and new projects meet. 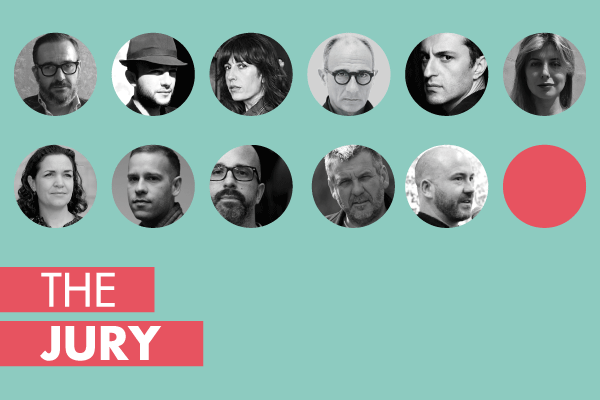 The major collective exhibition will take place in the historical location of the Arsenale in Venice in March 2018: 30 works of painting, 25 sculptures and installations, 25 works of photographic art, 10 videos, 5 land art works, 5 works of urban art, 5 works of virtual art, 5 works of digital graphics, 5 performances.which will be performed live during the exhibition’s opening ceremony. The selection of the submitted artworks will be made by an international jury composed of 11 members subdivided into the contest categories. GRACE ( http://gracegracegrace.eu ) has been invited to perform as part of the Video and Performance Art Festival, Palazzo Ca’ Zanardi, taking place in conjunction with the 57th Venice Art Biennale. GRACE endeavours to be a platform for older women to make work, and it is in this spirit we are looking for collaborators to take part in a process-based piece about ageing and gender, which we will make together as a group. 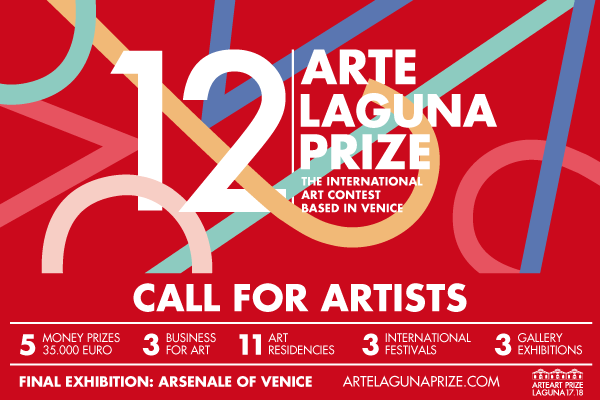 Selected participants will need to make arrangements to be in Venice on the 12th of September, for workshops leading to a performance on the evening of the 14th. 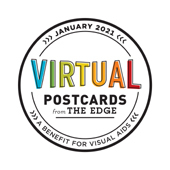 We are collectively funding this project, so all of us will need to contribute £200 each towards food and lodging (in a shared apartment) over the three days/nights. No experience or qualifications are required. Please read our manifesto on our website. If you are interested please send an email to GraceandGraceandGrace@hotmail.com letting us know who you are, your website (if you have one) and your thoughts about this opportunity. Deadline for submissions: 1 August – selection will be made the following week; we will send invitations to selected collaborators on or before 8 August. Continuing our year long focus on Black Speculative Art, the Creative Currents Artist Collaborative Summer Artist Residency allows literary, visual, performance, dance and music artists 2 weeks in conversation with their creative muse and each other as we explore the Black Speculative Arts amongst the backdrop of historic Portobelo, Panama - a place full of the magical realism that is our shared Afro-Diasporic history. The 2017 Creative Currents Summer Artist Residency is open to emerging and professional Visual, Literary & Performance Artists in all mediums and genres and Scholars and Researchers of all disciplines – both creative and academic – to submit project proposals for work to be developed during the 2 week residency. Drawing on Afro-futurist inspirations, this four day optional workshop invites participants to time travel through their writing lives. We will spend time exploring our past, present and future writing selves. This workshop will help participants deepen a connection to their inner writing self, discover new tools for their writing practice, allow time for new writing to emerge and includes a one hour personal coaching session. Writers at all levels welcomed!